Aaron joined the multiplication team in 2015 and is the Director of Resources and Assessments. He is a graduate of UW-River Falls and has a masters degree from Moody Bible Institute. Aaron is a one of the planting pastors of River City Church in Dubuque, Iowa. He also spent several years as a campus pastor for InterVarsity at UW-Platteville. Aaron and Becky have been married since 2004 and they have three daughters: Leah, Maggie, and Gracie. Casey joined the multiplication team in 2018 and is the Director of Networks for the Forest Lakes District. Casey is a graduate of Reformed Theological Seminary in Orlando. He is one of the planting pastors of Redeemer City Church in Fitchburg, Wisconsin where he oversees vision and mission implementation. Before planting Redeemer City, Casey worked as a church planting pastor in Florida. Casey and Angela have been married since 1998 and they have four kids: Westyn, Emmet, Clara, and Hazel. Nathan joined the multiplication team in 2017 and is the Director of Coaching for the Forest Lakes District. Nathan is a graduate of the University of Northern Iowa and Reformed Theological Seminary in Orlando. He is one of the planting pastors of Redeemer City Church in Fitchburg, Wisconsin where he oversees spiritual formation, counseling, and mission development. 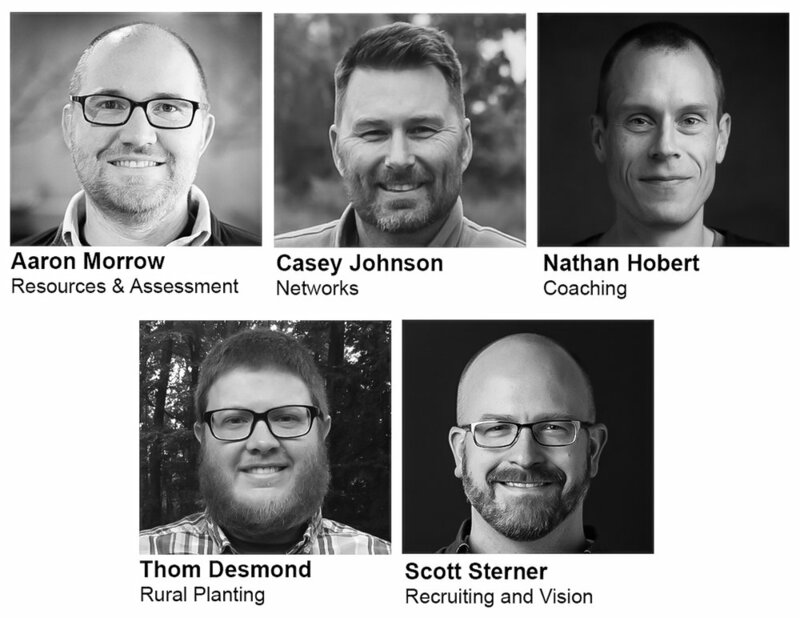 Before planting Redeemer City he was on the planting leadership team for The Vine Church in Madison and was the College Pastor at Parkview Church in Iowa City. Nate and Amanda have been married since 2000 and they have three kids: Grace, Sam, and Elise. Thom joined the multiplication team in 2018 and is the Director Rural Planting. Thom is a graduate of Moody Bible Institute and Reformed Theological Seminary. He is the Lead Pastor of Springbrook Church in Antigo, Wisconsin which he helped plant in 2011. Thom and his wife and Crystal have been married since 2007 and have two kids: Jonah and Silas. Scott became the Church Multiplication Catalyst in 2013 where he focuses on recruitment and vision. He is a graduate of Iowa State University and is completing his graduate coursework at Trinity Evangelical Divinity School. Scott and his family live in Madison where he helped plant The Vine Church. Scott has been in vocational ministry since 1994 and he has served in worship, executive, and lead pastor roles. Scott and Carrie have been married since 1993 and they have five kids: Hannah, Zach, Elizabeth, Isaac and Aaron and one grandchild: Isaiah. In January of 2019 Scott also began a part-time with EFCA national as the Church Multiplication Systems Catalyst.